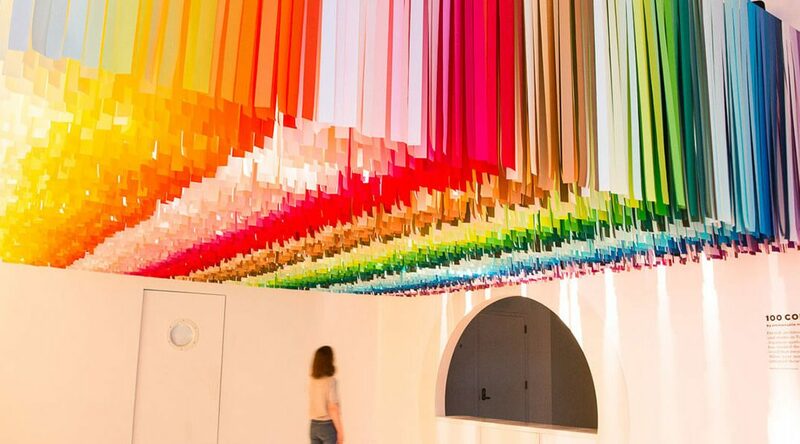 The Color Factory is the project of Jordan Ferney and describe themselves as a “Colaborative interactive exhibit” that first started in 2017 in San Francisco. It is the celebration of color and intends to change everybody´s mood. Read on to find out why it will put a smile on your face too. This is the first part of the exhibition. Public and free exhibitions of art, whether to raise awareness on a certain subject or not are very important to every big city. They just add that little something to your everyday life that brings faith in humanity back to its place. 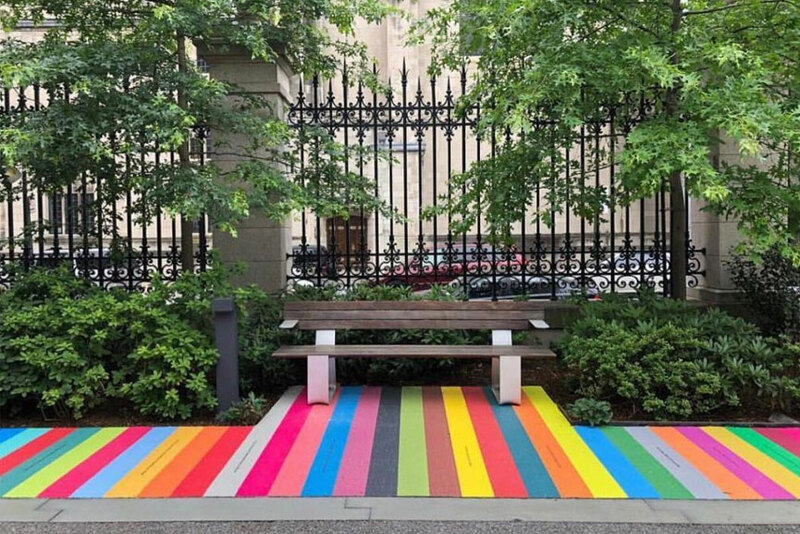 This color walk is located at the Upper East Side, on the majestic Arthur Ross Terrace and Garden that is right on top of the Cooper Hewitt Smithsonian Design Museum. 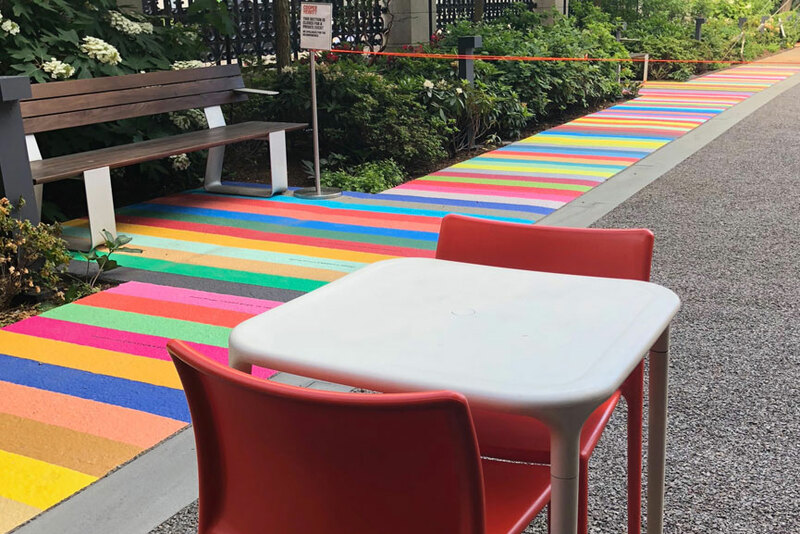 The sidewalk is painted of 256 different colors that have been gathered all across Manhattan, so we could say that they belong to the city. The studio selected to hold the exhibition is 20,000 square feet and it promises to be a life-changing experience. The ideology behind the exhibition is to cheer people up, so they have prepared a full menu that will please even the most depressed. 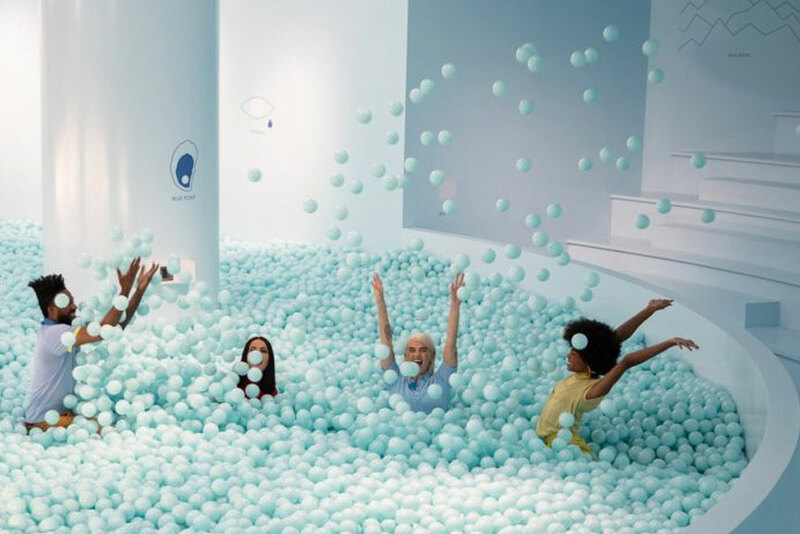 It shall include floating balloons, a dance surface featuring a lighting up floor, and a themed bar of colored ice cream among many others. Once you are done with the indoors exhibition you will be given a map to find other 20 works of art hidden in the neighborhood nearby. There are absolutely no reasons not to go to at least the free side of the exhibition and let this crazy colorful people cheer you up.